Bryce Rutter, Founder & CEO, Metaphase Design Group, Inc.
Dr. Bryce Rutter is Founder & CEO of Metaphase Design Group, Inc., and is a specialist in innovation and business strategy and the integration of research, ergonomics and design into new product development. 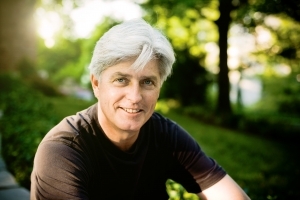 Dr. Rutter is a member of the Human Factors & Ergonomics Society, the Design Management Institute and IDSA. He serves on the Industrial Design Advisory Panel of the University of Illinois at Champaign-Urbana and the Advisory Council of the Design Management Institute. He has served as an invited juror for international design award programs including the Consumer Electronics Show Awards, the Industrial Design Excellence ID Magazine and Medical Design Excellence Awards. He received a BID (Bachelor of Industrial Design) from Carleton University, Ottawa, Canada, an MFA in Industrial Design and a PhD in Kinesiology from the University of Illinois at Urbana-Champaign.